Formed in Yerevan, Armenia in 2003 is Stryfe, having been through much strife of their own the band relocated to California, USA in 2010. Following many line up changes, the band finally settled into their current style and formation, going on to release their debut EP Beyond Reality in February 2015. The EP opens with Speak To Dream, a song with an intro of heavy crunching guitars and almost menacing tones before launching into strong, clear vocal passages. 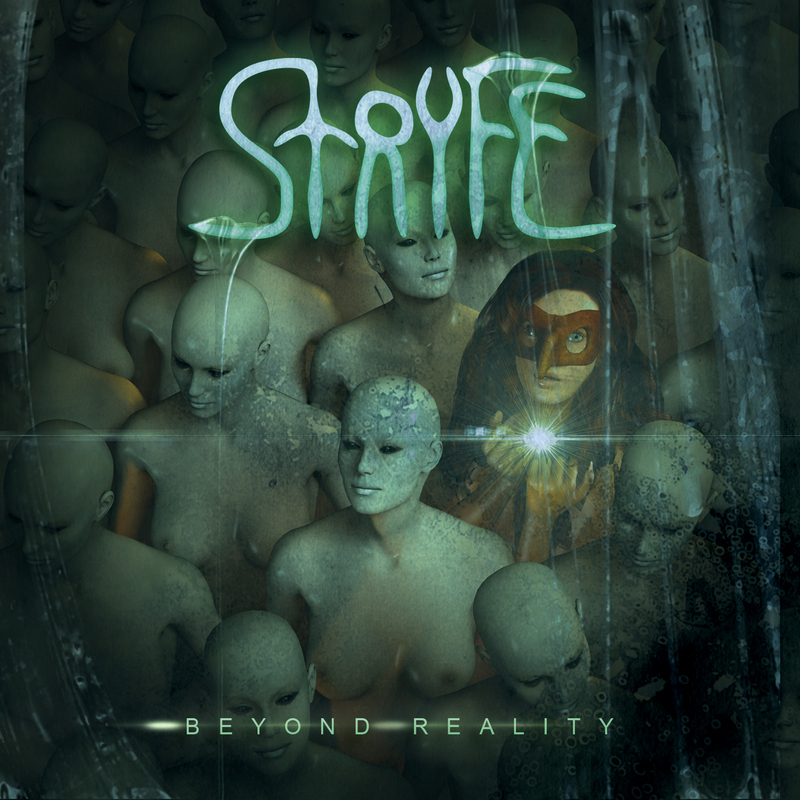 Stryfe's music is heavily laced with progressive metal elements that draws the band's sound together. The occasional solo is well executed, although as standard for female fronted metal bands the guitar solos are quite short and considering the variance of the progressions it feels a bit dissatisfying. The pace slows down a little on When All Hopes Are Gone. Nicole Bouffard's vocals are pretty much central to the song, her voice rings out with absolute clarity, laced with husky tones when she uses a lower register. The song portrays a near defeated despair without being overly dark and I feel that the guitar solo that plays out the song presents this feeling at its peak. Lyrical themes, especially those present in title track Beyond Reality, encourage the listener to think a bit bigger, and challenge their perceptions of the world, as well as the perceptions of our reality. Stryfe present a nice blend of progressive metal and the well-known American alternative hard rock/metal scene. The compositions are so on point that it feels frustrating when the EP ends so soon, after just three songs. As the listener I was left wanting to know where the message went, how the music continued its journey and what was being built up to. Definitely looking forward to an album in the near future to quench that thirst.